Grew Up… in a military family in Philadelphia, itching to fight for the red, white and blue. A brainy patriot, he went on to attend MIT and the Air Force Academy before joining the United States Air Force and proving himself an irreplaceable asset to his country. Living… wherever the U.S. government needs him, and the government needs men like Rhodes everywhere. Profession… Lieutenant in the United States Air Force. Over time, Rhodes has demonstrated that he is a fearless and capable soldier, but his usefulness is not limited to combat. 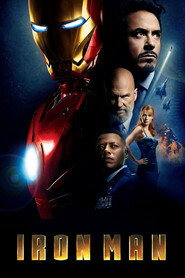 As a good friend of Tony Stark, Rhodes is in a unique position to act as the liaison between the Air Force and Stark Industries – a partnership that allows the Air Force to maintain their technological superiority. Interests… helping people. Rhodes is dedicated to the loftiest American ideals and to safeguarding the lives of the American people. When he’s not protecting the stars and the stripes, Rhodes has said that his hobby is “covering Tony,” a daunting task considering that everyone from Congress to terrorists has an axe to grind with Mr. Stark. Relationship status… single. While Rhodes may be interested in a relationship, his constant military duties send him all over the world and don’t leave him with much time for love. In the meantime, Rhodes has to settle for checking out cute stewardesses with Tony. Challenge… balancing his loyalty to Tony with his loyalty to the U.S. government. 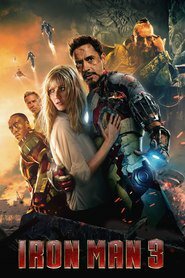 Tony’s invention of the Iron Man suit has potentially world-altering. 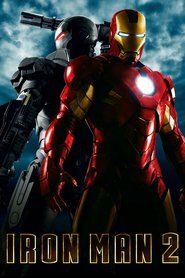 But as determined as the government is to unearth Stark’s secrets, Tony is more determined to keep the suit to himself. Rhodes has to trust his own conscience to guide him through a political struggle that could change the very shape of modern warfare. Personality… a professional soldier with a strict sense of right and wrong, Rhodes has always possessed a strong moral compass. Despite the fact that Rhodes is tasked daily with extremely serious, life or death decisions, he exhibits a strong sense of humor. He is somewhat of an adrenaline junky, and longs for an opportunity to pilot the Iron Man suit. Quick with a joke, and even quicker to defend his friends, Rhodes is a beacon of stability in Tony Stark’s otherwise tumultuous life. Rhodey's popularity ranking on CharacTour is #270 out of 5,000+ characters. See our top-ranked characters and read their profiles.